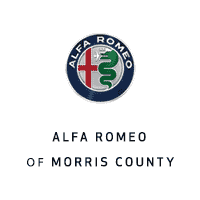 At Alfa Romeo of Morris County, we are your one-stop shop for getting into a new or used vehicle. We offer superior customer service and a financing department that can help you get approved quickly at a price you can afford. Whether you’re looking to finance or lease, let our team of experts help get you started. We have negotiated the best rates and relationships with the leading lenders, which mean you’ll get not only a car you want, but also a payment that doesn’t break the bank. Investigate financing options online so that you can start shopping today. All it takes is filling out our simple online application and a finance department representative will help you complete the rest. Plus, we have a variety of tools to help you determine your budget for your next new or used Alfa Romeo. We offer hassle-free financing. Learn more about our financing options by calling our experts at (973) 434-1100.